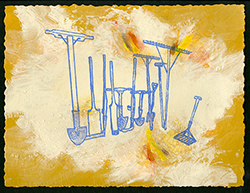 From Jan. 23 through March 26, 2016, the Hallie Ford Museum of Art will present a twenty-year retrospective exhibition,“Fragments in Time,” for Willamette University’s art faculty member James B. Thompson, in the Melvin Henderson-Rubio Gallery. 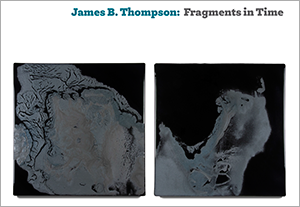 “Fragments in Time” explores the development of Thompson’s work during the past two decades, and features 179 artworks that range through 11 series, starting with Thompson’s “Certain Situations” from the mid-1990s, to his most recent “Forgotten Biography of Tools” from 2015. Utilizing various mediums — including mixed-media, painting, intaglio prints, embossed paper and kiln-formed glass — Thompson focuses on his various interests in ancient history, golf, changing landscapes, life in a French village and even hand tools, by incorporating fragmented references to these in his art making process. In addition to the objects on display, the exhibition is accompanied by a full-color, 128 page book by Portland, Oregon art writer and critic Bob Hicks. 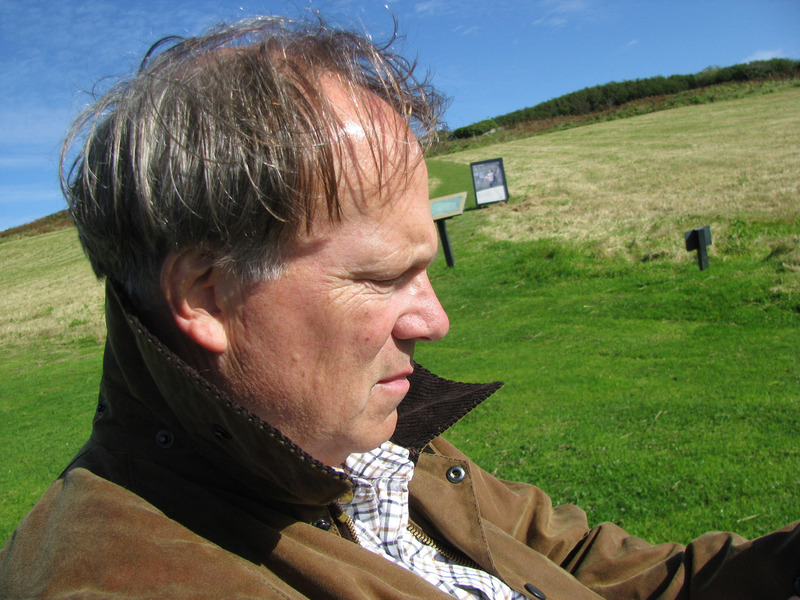 On Jan. 22, Thompson will discuss his work in an illustrated lecture from 5-6 p.m. in the Roger Hull Lecture Hall. A preview reception will follow in the lobby and galleries downstairs. Admission to the lecture is complimentary. On Feb. 2 educators are invited to join Elizabeth Garrison, The Cameron Paulin Curator of Education, for a preview of the exhibition from 4:30 – 6:30 p.m. This workshop is designed to help teachers prepare students for a field trip to the exhibition, as well as broaden curriculum concepts for use in the classroom. Advance registration for this free workshop is required by Feb. 1. Call 503-370-6855. Join staff and docents for tours of the exhibition on Feb. 2, Feb. 9, March 1, March 8 and March 22. Tours begin at 12:30 p.m. and are free and open to the public. This exhibition has been supported by funds from the Maribeth Collins Art Exhibition Fund, with additional financial support provided by general operating support grants from the City of Salem’s Transient Occupancy Tax fund and the Oregon Arts Commission. Born in Chicago, Illinois in 1951, Thompson was educated at Ripon College in Wisconsin, where he received his BA degree in 1973, and at Washington University in St. Louis, Missouri, where he earned his MFA degree in 1977. Thompson has been on the art faculty at Willamette University since 1986 where he teaches drawing, painting and printmaking. He has participated in numerous solo and group exhibitions over the years, and is included in public and private collections throughout the United States and Europe.